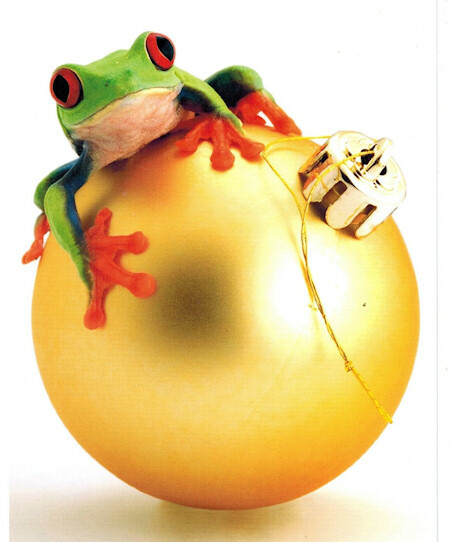 "Have a hopping good time this Holiday Season" That's the message inside these cute frog holiday cards, which feature a red-eyed treefrog posing on a gold ornament. You get a box of 18 cards and 18 envelopes. The cards are extra-large: 5-3/4" x 8"